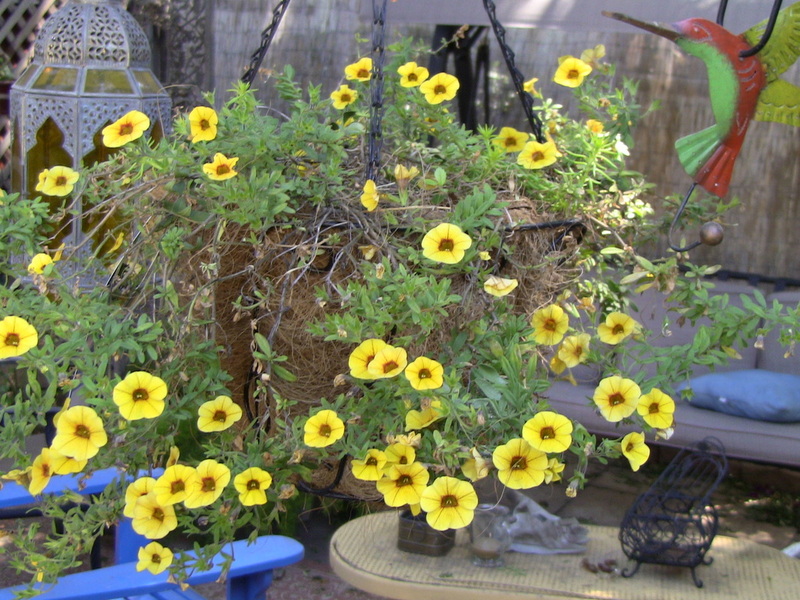 Gardening doesn't have to be complicated or perfect. 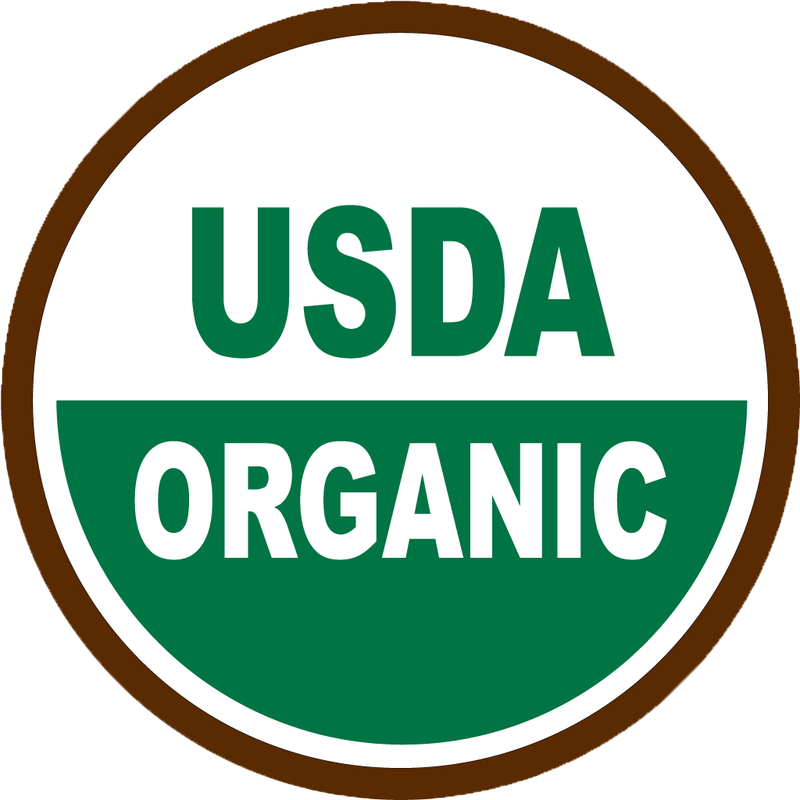 Check back for videos on how to bring some of your own fresh fruits and vegetables into your meals. 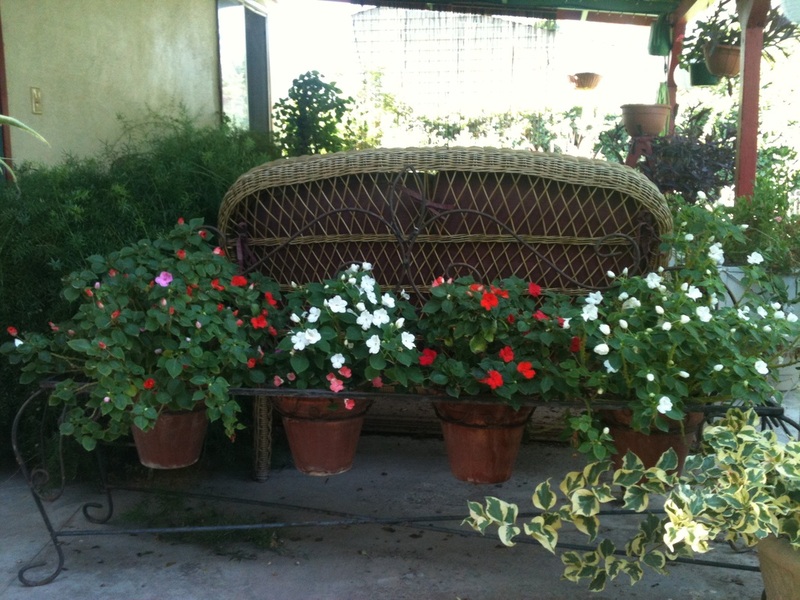 Let's start with pictures from Elaine's garden. MY BIGGEST TOMATO EVER! A THIN SKINNED ORGANIC HEIRLOOM TOMATO. TRUST ME....IT WAS DELICIOUS! 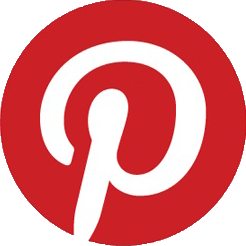 CLICK TO SEE MORE VEGETABLE PICS. These pictures are proof you can do a lot on a limited garden budget. Many of these plants were "rescued." You may have seen those plants marked down 50%-75% because they are half dead when you were in the garden section of your local home improvement store. Since I have killed plenty of full priced plants, if they still look good, just figure what the heck. Those bargains are not only more in my price range, but if they make it, they will probably live through even more trauma such as extreme heat, not getting enough water or too much, imperfect soil (clay/sand) or not enough nutrients, weed invasions, and insects. In other words the normal stuff that happens in gardens. 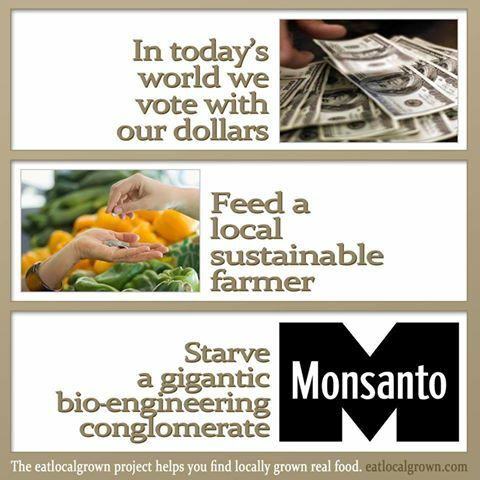 You always have to factor in human error as most of us backyard farmers learn as we go, and have accepted there will be casualties. THESE WERE MY FIRST TULIPS. OK THEY DON'T LOOK LIKE MUCH, BUT WERE A THRILL TO HAVE POP UP LAST SPRING. HAD TO PLANT IN THE FALL. Showing flowers first since they have the most color! 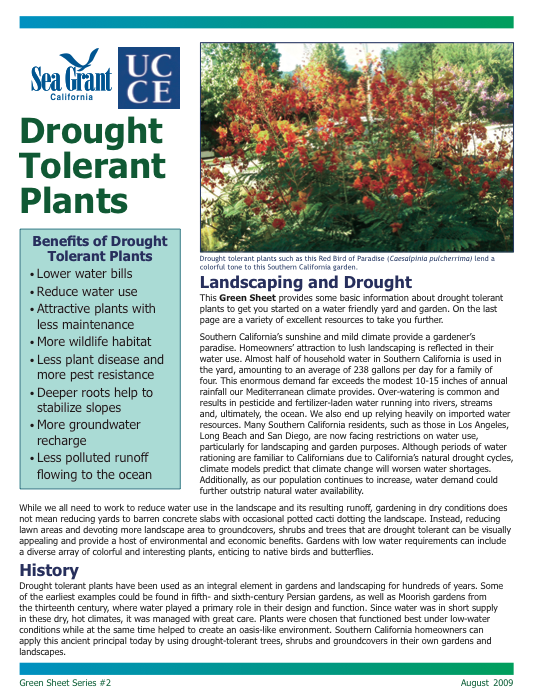 Learn how Drought Tolerant Plants save you time and money. Click the picture to download and read. 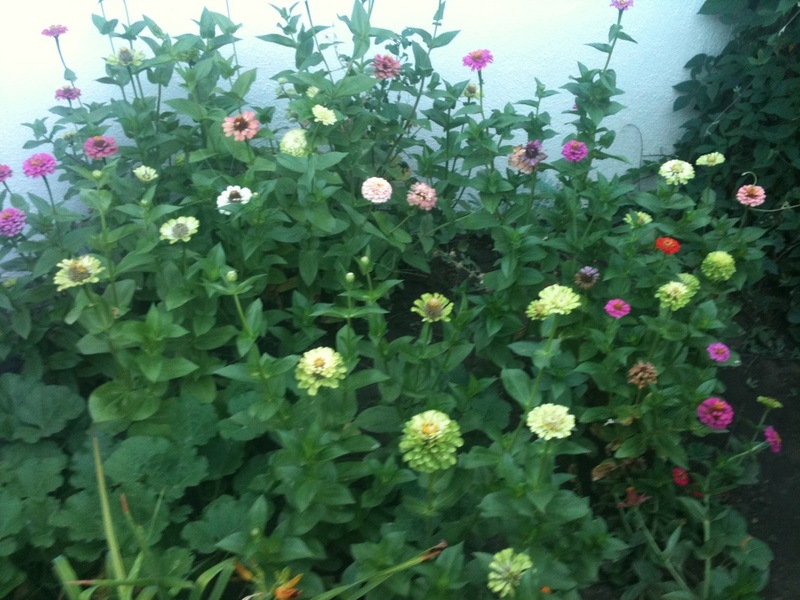 Threw some seeds on the ground, added dirt and got a beautiful zinnia bouquet. 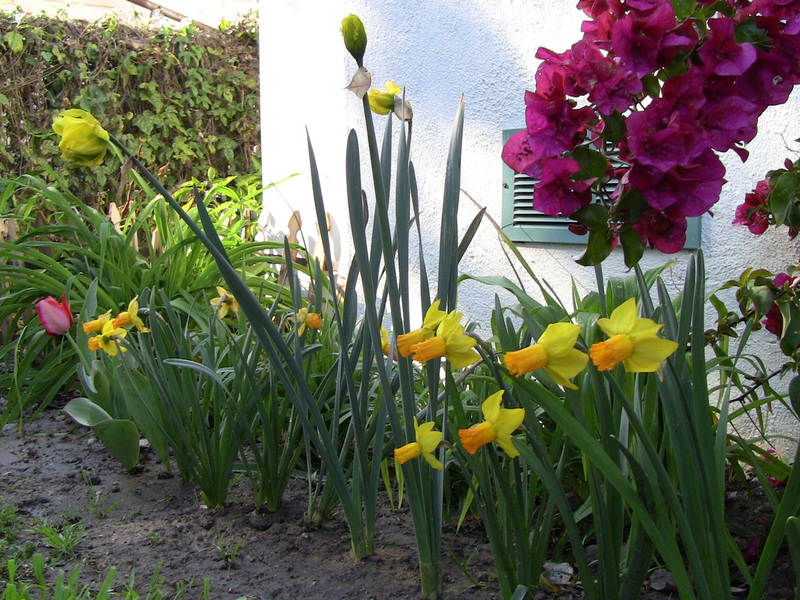 My first daffodiles. 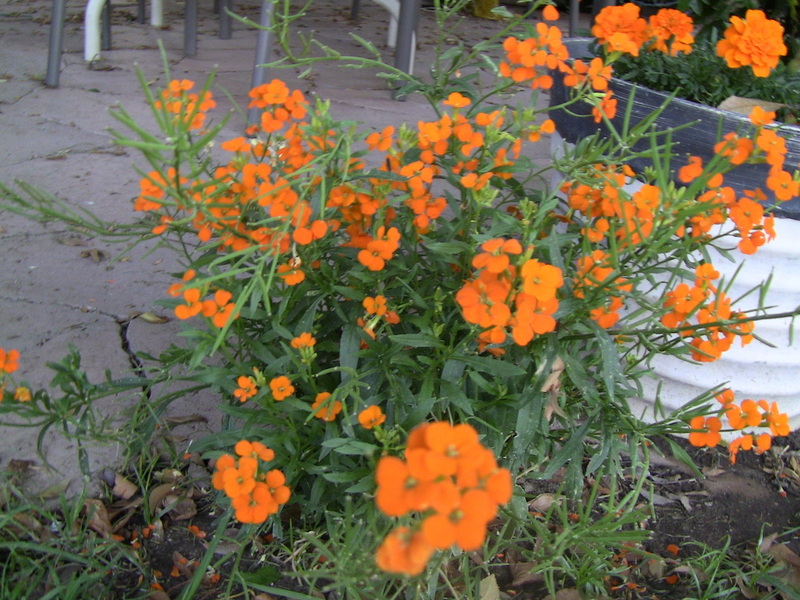 I was thrilled to have these bright yellow and orange flowers display last spring. Fuschia four o'clocks display bright colors and save buying new plants each year since they return on their own each spring. 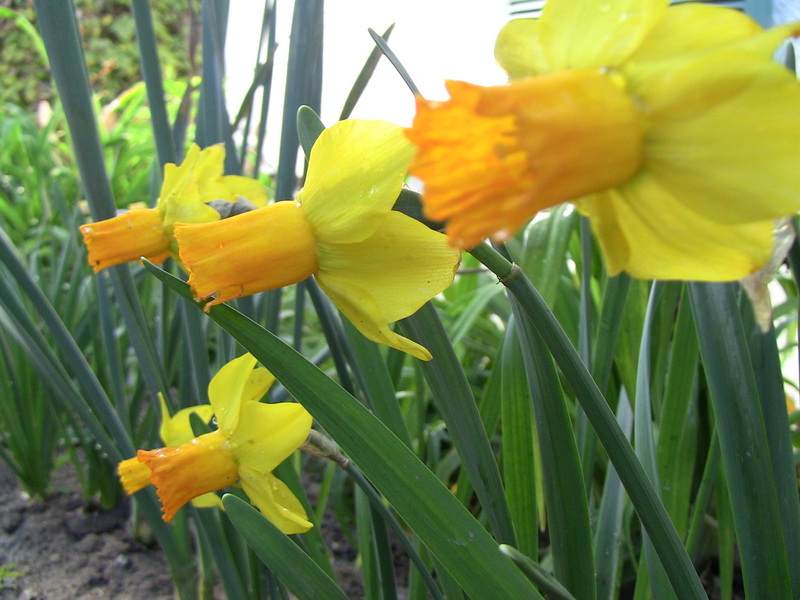 Had to have a close up of these daffodils. Hooked on them now. Thinking I want to grow more next year. Plant in fall. 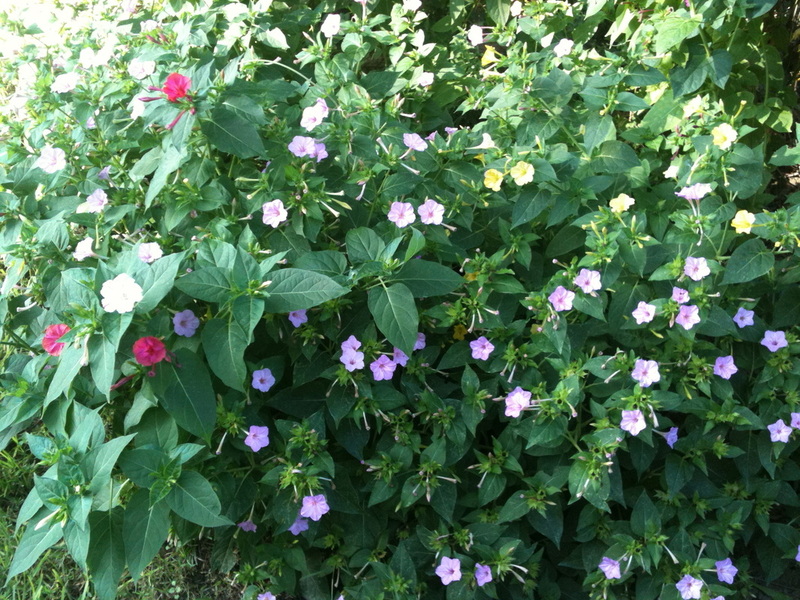 Five different colors of four o'clocks come up each spring after dying in winter. Yes, they will bloom at 4:00 each day. 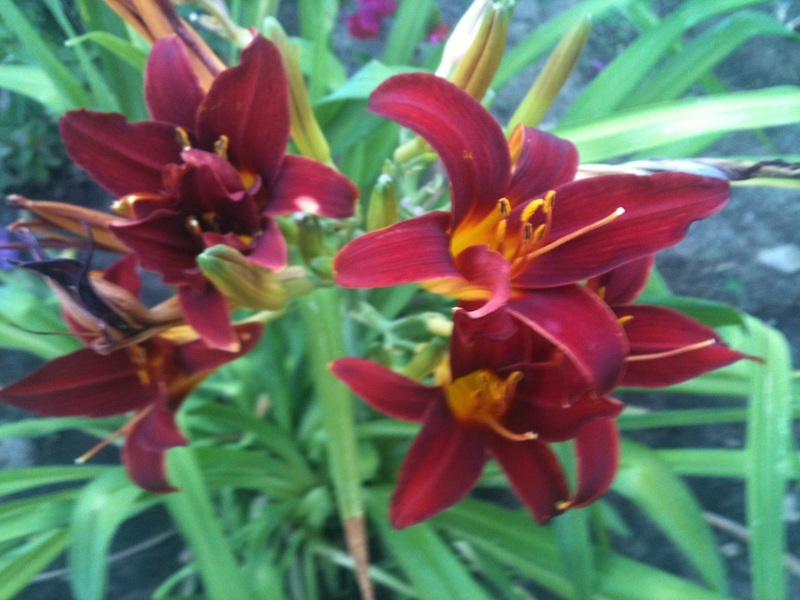 Lilies are so beautiful and easy to grow and come in a range of beautiful colors. 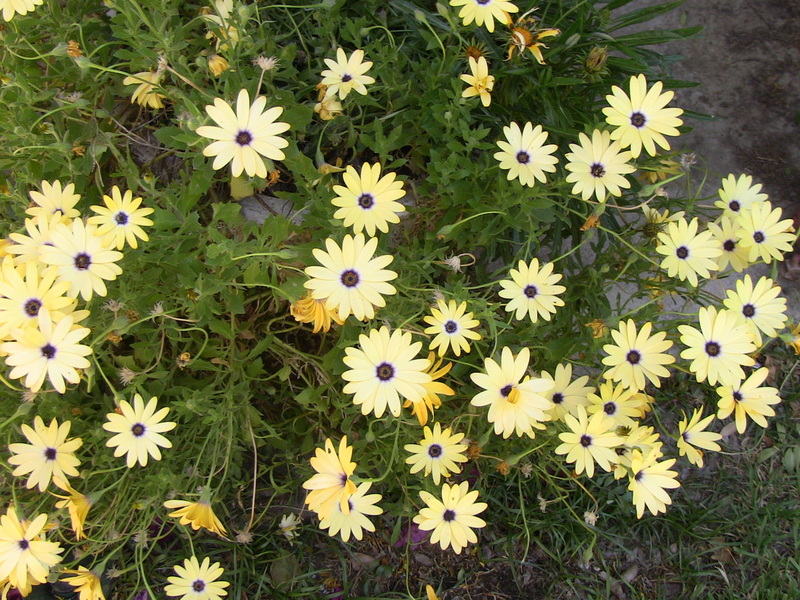 A difficult plant to grow in the heat, but if you can keep it alive over winter will give you lots of blooms in spring. This wrought iron pot holder is one of my favorites. 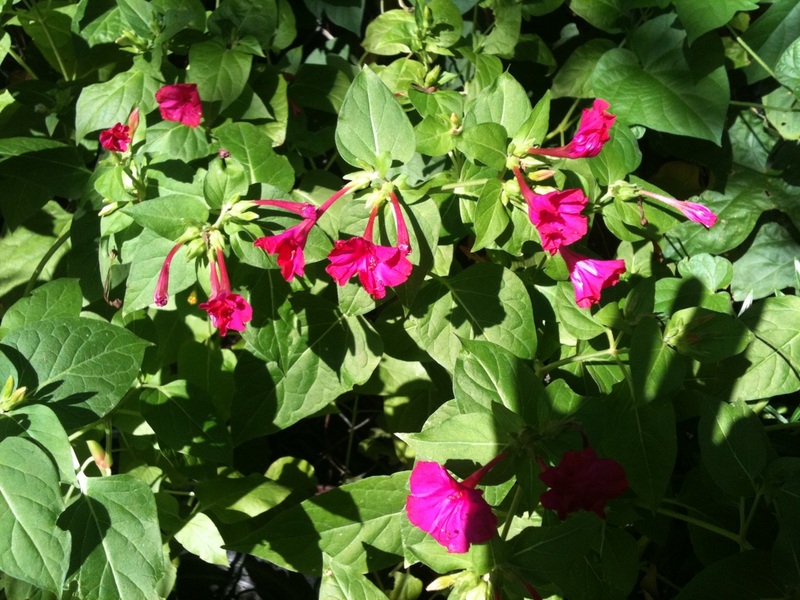 Impatiens give continual color and easy to grow. 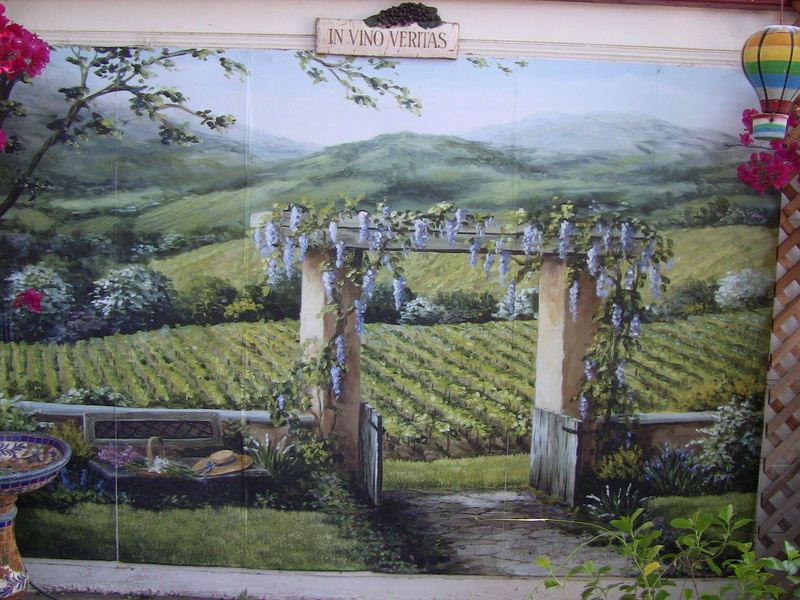 This mural gives the feel of a Sonoma winery. Have enjoyed this scene for years. Held up great. through weather. 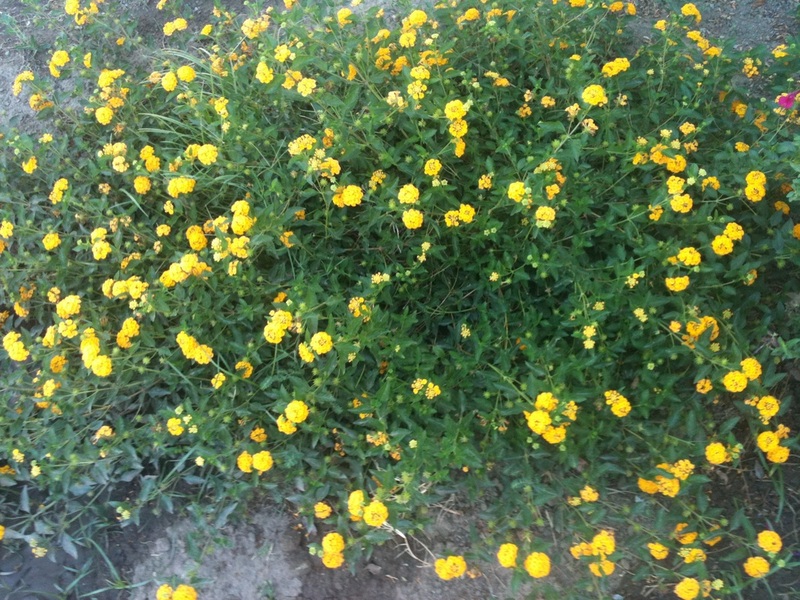 Yellow lantana is a drought resistant plant. Can go days without water it high heat. Had a plant like this in a pot last year and surprise, a new one popped up from the ground in spring. 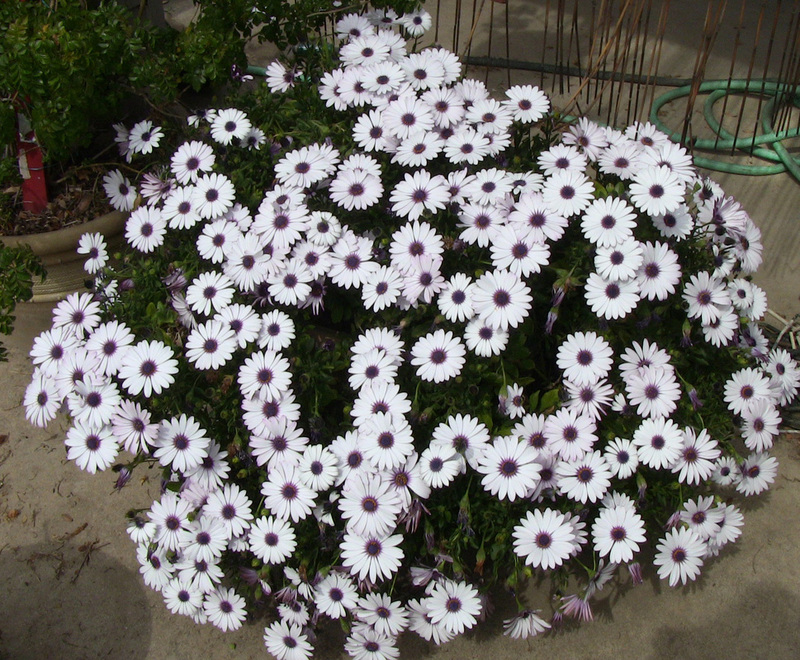 This looked like a big daisy bouquet. Just trim this back in the winter, and this is what I get in the spring. That colorful birdbath came to me broken. Glued it best I could, and has held up even sitting outside in the open. 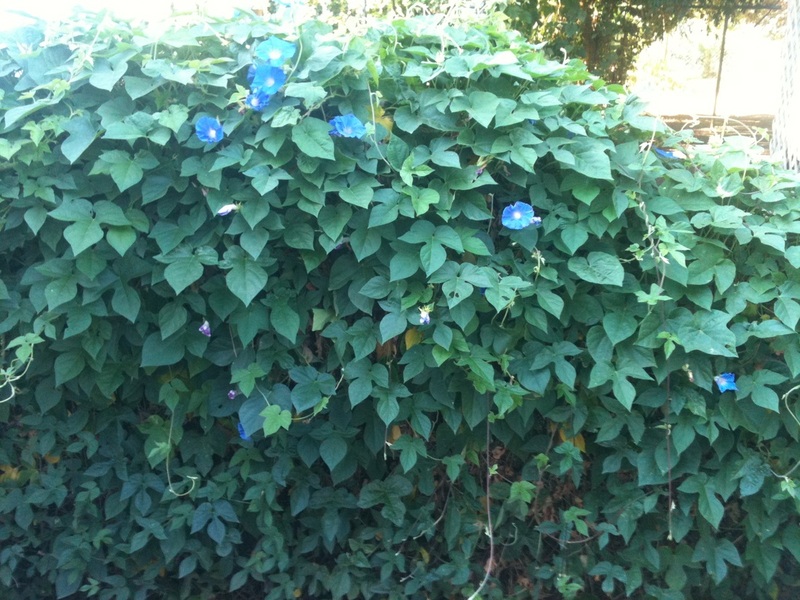 Morning glories add privacy and a blanket of deep purple flowers. Dies back in winter and then months of beauty. One big factor that can determine life or death of a plant is whether they are getting enough sun or too much. If a plant is not growing, or looks like it is dying, it may have something to do with its location in the garden and how much light exposure it gets there. Full sun all day versus just early morning sun could kill one plant, or help another thrive. Sometimes it takes trial and error so don't get discouraged. If you don't plant anything, you get nothing. Important save water Twitter messages here.